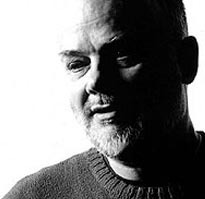 BBC broadcaster John Peel has died at the age of 65, while on holiday in Peru. John was great fan of The Liverpool Scene and friend of Adrian Henri and Andy. During the late 60s and early 70s, when John was far more well known than the band itself, he would often insist on the Liverpool Scene appearing on the same bill if a promoter wanted to book him for a gig. John was also a good friend to this site and gave permission in 2001 to reproduce an article he had written and in fact featured Andy's web site on the BBC Home Truths web-page. He will be sadly missed. 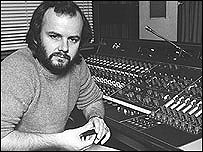 Fans of John Peel will be able to pay their final respects as he is laid to rest near his home in Suffolk next week. ST. EDMUNDSBURY CATHEDRAL, IN BURY ST EDMUNDS, ON FRIDAY 12TH NOVEMBER 2004. The ceremony will be followed by a private service for family and friends of the late DJ. "In 1967 I was a law student at Liverpool University. My parents lived in London. Home for the summer break I was told about this slot on Radio London (pirate station, broadcasting from the East Coast, which of course didn't reach the North-West) called The Perfumed Garden. It went out for 2 (later 3) hours, at midnight. That was my introduction to John and his style of broadcasting, and I loved it. He played Country Joe and the Fish, Skip Bifferty, Jefferson Airplane, Tomorrow, Captain Beefheart, The Misunderstood, he read Winnie The Pooh, and poetry - I'd never heard anything as good on radio. Earlier in the year I had recorded an album with Roger McGough and Adrian Henri (recorded in 2 hours, after a gig, in mono, at Regent Sound 'A' in Denmark Street) called The Incredible New Liverpool Scene, which had just been released on CBS. John played several tracks of ours during that summer, the first time I ever heard my playing broadcast. I was 20, a student, and on the radio. I saw that John was billed as DJ at a gig at the Roundhouse - UFO or Middle Earth, I forget which, and I went to meet him. We got on famously - he was genuinely interested in what we were up to in Liverpool, and I ended up seeing him a few times before I went back to university, whenever he had time off from the boat (Galaxy, off Clacton!). I was around for John's transition to Radio 1 that September. I think I was more thrilled than he was that he got a 6-week contract to present Top Gear on Sunday afternoons, sharing the presenting with Tommy Vance. Odd billing, that ended up with John on his own after a few months. At the time John's flat was off the King's Road at the Fulham end. I sometimes sat with him on Tuesday evening, which was for some reason, singles night! He'd sort through the week's (mainstream) releases, playing the openings and then tossing them into a heap. If he really hated a record he'd frisbee it into the coal fire. I still remember a Tony Blackburn single getting that treatment. John came and stayed with us at 64 Canning Street in Liverpool, the house which he pronounced a "modern day Parnassus" in his Perfumed Garden column in International Times. He was crucial to the Liverpool Scene (as the Liverpool poetry and music performance collective was now known) through 1968. As he came more and more to define a certain type of music - that favoured by the Underground - he started to get invitations to talk and play records at university gigs round the country. Typically, he would refuse to take more than expenses for these appearances, but he insisted on a couple of his current favourite acts being on the same bill. That presented us with a lot of seriously good exposure, along with Tyrannosaurus Rex, Principal Edward's Magic Theatre, Roy Harper, Davy Graham, and so many others. When Liverpool Scene turned professional in September 1968, our manager suggested that John produce our first RCA album. I'm not sure that John knew what production was! He didn't feel he contributed much, though he enjoyed the time in the studio (which amounted to 3 three-hour sessions, start to finish). And his name on the LP certainly helped us. All through the life of the band we did sessions for Top Gear, and Nightride, and I saw a lot of him. In 1969 I have fond memories when after a gig at the the Angel Hotel in Godalming we all went back to John's flat in Upper Harley Street to watch the first moon landing, through the night. One giant leap for mankind, one great night in London. By then he was seeing Sheila Gilhooley, and we knew they were made for each other. "It's ironic that John shared his first Radio 1 slot with Tommy Vance. Tommy took to commercial radio like a duck to water in the 70s, and is still quacking on VH1, but neither the style nor the content of a Peel show would have been welcomed by the early independent stations. John's place was securely in the bosom of public service radio, and he knew it. When Capital Radio started in 1973, their first slogan was "Capital - In Tune With London." I bumped into John outside Broadcasting House that winter, and he solemnly offered me the choice of two stickers he was carrying. One said "Capital Radio 194 - In Tune With Hampstead". The one I chose, and still have on a guitar case, says "Capital Radio 194 - In Tune With Nothing". Somewhere I have got a business card which John had made around the same time. It simply states World's Most Boring Man. At the time I think he really meant it. While he remained intensely shy and self-deprecating, marriage to Sheila the next year, and his adored children, brought him tranquility and contentment." With John and Sheila married with children, I inevitably saw less of them from the mid-70s onwards, once they were happily settled in Great Finborough. We would talk occasionally, but even when I moved to Suffolk for 5 years work kept us apart, and it was mostly Sheila that we saw. My partner Sally and I had our first date at John's 50th birthday party in 1989. Sadly I turned down an invitation to this year's 65th party as it co-incided with the last weekend of the Edinburgh Festival. Earlier this year, out of the blue, John returned to me my membership card for Radio Luxemburg's Teen and Twenty Disc Club, which he'd found in the back of a drawer. Heaven knows what circumstances had put it there, but it was typical of him that he'd recognise how much it meant to me. Most other people would have binned it without thought, but John respected teenage dreams. That card, and the note with it, were the last communication I had with a great friend. Even though he often doubted the true worth of his calling, and was past an age when many would have retired, I don't believe that John would ever have been able to stop. The greatest sadness is that he, devoted head of close-knit loving family, had, in the end, no time to enjoy the fruits of his life's work with them."